St Charles Careers Programme covers a wide variety of topics which aim to prepare students not only for their college studies but for both university, apprenticeship, employment and their intended careers. 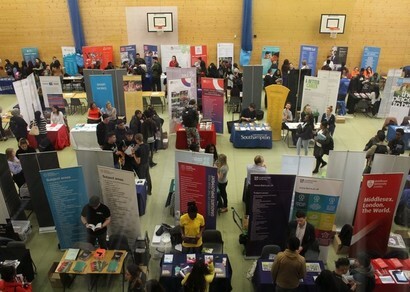 A number of annual events: One Year Choices Day for students on Level 1 and Level 2, Two Year Choices Day for students on first year of Level 3, Career Fairs and Higher Education Fair, UCAS Preparation days including talks from top Universities such as UCL, Kings and City. Inspirational talks from high profile speakers such as the Chairman of Mastercard Rick Haythornthwaite, Ex Chief Executive of BP Tony Hayward, John Snow Broadcasting Journalist from Channel 4, Chairman of Legal & General Sir John Kingman, Philip Coggan British columnist and author of books on economics and works for the Economist magazine and previously for the Financial Times. In addition, the students receive daily news on various opportunities including summer school programme, subject masterclasses, open days, work experience, career insights and current apprenticeships and employment vacancies. Students can explore careers through Fast Tomato Careers Software which has been designed to help young people broaden their horizons and consider a broader spectrum of careers and education options. Students take a short psychometric questionnaire which gauges interests, attitudes and motivations. They are then offered career and education suggestions, personalised to them. "The Two Year Choices Day was very inspiring as well as motivating. I feel as the effort put into organising this day was very effective as it motivated me to think more about my future; increasing my ambition." "Prior to the Choices Day I had had an initial talk with Tim [Careers Advisor] who was helpful in guiding and supporting me around the expectations and requirements to apply to certain universities. He also forwarded me many university opportunities that I have been able to apply for as a result of him." 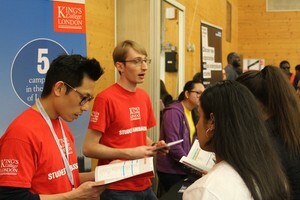 Introduction to the university application process, including UCAS, choosing a degree course and university, open days. All students receive a copy of the UCAS Preparation Booklet. The opportunity is also taken to touch on the development of both personal and social skills, and topical issues, such as Resilience, Personal Safety, Healthy Eating & Budgeting at University, Managing Stress and Using Social Media Responsibly (daily Smoothwall report which informs the College what websites have been accessed by the students which is monitored by the deputy safeguarding officer). 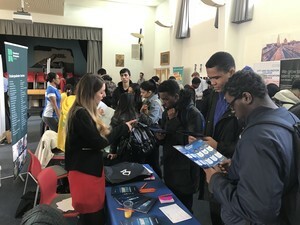 Many of the sessions are delivered by visiting speakers, and the college regularly invites professionals and admissions tutors and lecturers from universities to talk to students; former pupils also come back to speak about their chosen careers and universities. 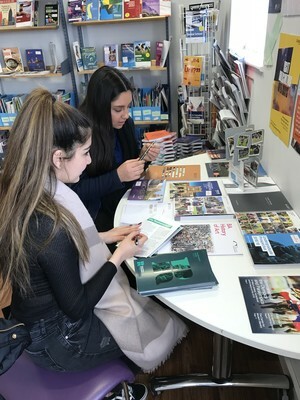 The Careers Library itself is well-stocked with up-to-date literature about universities, courses and careers, and is also used for small group research. Click here to access the Work Ready Schools Skills Development site. It contains training modules for you to complete. They are in a microlearning format which means they are video rich in content, interactive and delivered in bite-size chunks. They also feature interviews with a range of different employers and are accredited by the CPD so you will get an employer-recognised certificate, upon completion. There’s a great range of different topics available and they are a fantastic way to build your CV and gain invaluable skills. Build your career prospects with industry experts, whenever suits you!